Homes for Sale from Realtor in San Antonio TX | Liberty Management Inc.
Liberty Management Inc. has a team of professional REALTORS® who make it simple to find the perfect home for sale in San Antonio using their proven simple steps. They are committed to providing an excellent home buying experience! Looking for a REALTOR® in San Antonio? Our Realtors are well-trained employing simple steps making your home buying experience a breeze! Our Realtors will help guide you every step of the way by providing you with helpful information on homes and neighborhoods that isn't easily accessible to the public. Our Realtors offers you valuable knowledge in home buying process, negotiating skills, and familiarity with the area helping you purchase your dream home! Hiring Liberty Management Inc Realtors doesn't cost you anything! The Buyer's agent is compensated from the commission paid by the seller. Having a representation will help you negotiate price and repairs. Our Realtors can help "read between the lines" when talking to a Seller's agent and may be able to find things out about the Seller, the Seller's motivation, or the Seller's willingness to help pay closing costs, things that the Seller's agent would not say directly to a buyer. A preapproval letter can help you save thousands of dollars when negotiating the price. Not only will a preapproval letter let you know your buying power, but it's also excellent negotiation tool. When it's time to submit an offer, having a preapproval letter from your lender helps your agent negotiate the best deal possible. If a seller has multiple offers on his property, he's more likely to accept the offer from the buyer that has a preapproved letter or negotiate a better deal. A preapproval letter helps you negotiate the best price possible as the seller knows if they reach an agreement with you that you will be able to close on the transaction. Seasoned home buyers know that one of the first-steps in beginning a successful search for a new house is taking a hard look at their finances. Knowing how much money you can allocate to the purchase of your new home affects every aspect of your home buying such as how offers are written, qualifying for a mortgage program of choice and shopping for the best mortgage loan. Calculate your monthly mortgage payment using the free calculator below. We help you save thousands dollars by helping you secure the right financing. We are able to assist you in finding the best possible interest rate at the best terms. We have helped buyers have lower monthly payments and saved thousands of dollars off their loan by reviewing and finding them the best financing options for them. Are you ready to secure a loan? Our Realtors will assist in Securing Your Financing. We have partner lenders who can assist you every step of the way. Your next step is to get prequalified for a mortgage. This step will require you to provide your financial information such as your income, checking and savings as investment portfolios you own. Every penny counts! 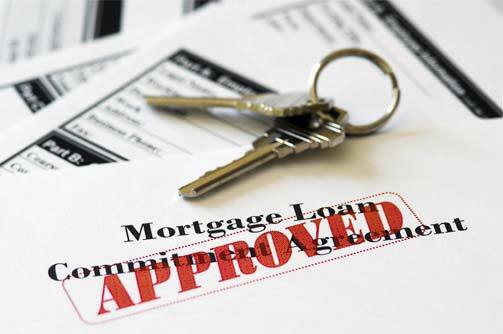 A pre-approval letter will be provided to you by your lender of choice. This letter will make your offer stronger and solid. We will work with your lender to review your loan options and details. When you are purchasing a home, and have an experienced, when you are purchasing a home, and having one of our experienced, responsive mortgage bankers assist you can make the process much easier. Every homebuyer has their own priorities when choosing a mortgage. Some are interested in keeping their monthly payments as low as possible. Others are interested in making sure that their monthly payments never increase. And still others pick a loan based on the knowledge they will be moving again in just a few years. Liberty Management's Automated Home Search is a FREE and easy to use account that gives you the ability to save and manage multiple properties displayed on www.libertymgt.net. Think of it as your own private Multiple Listing Service allowing you to search, track and save properties listed in the MLS while keeping your information secure. Our Computer Generated Home Search is the easiest way for you to search for a home to buy. You simply tell us what style, size and price range you want and we will input the data into our computer. The Computer checks every day to see if any homes match what you are looking for. When a match is found you will receive the information automatically via your E-mail. Information regarding New listings, Back on the Market listings and Price Change listings as they become available. All you have to do is read the information and notify us when you want to see a home that you are interested in. We offer this service at no charge to you, but you must have access to E-mail to view the properties that you are specifically looking for, as soon as they are added. Study the information at your leisure, drive by as you wish. We won't call to try to pressure you into looking at a home. When you see what you like, call us. We will make showing arrangements to see any home, by any company with no pressure. Do I Need A Realtor If I Build or Buy New Construction? New home and New construction have a ton of advantages, but many buyers make the false assumption that they can save money by not using their own REALTOR or do not need a REALTOR when purchasing a new home. The builder's rep works for the builder – not for you! Their success relies on getting the best deal for the builder, who is their employer. Legally, there can be no discounts passed on to you for not using a Realtor, there are no savings. 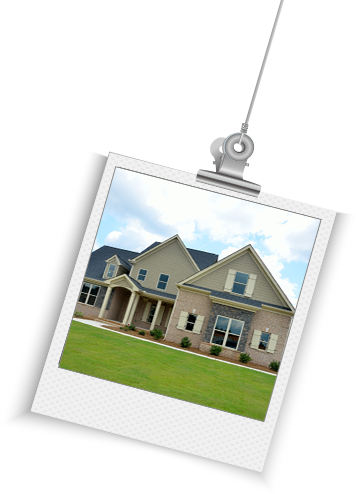 You may not know that the commission for a buyer's Realtor is part of the purchase price. If you are not using your Realtor, the builder just receives an extra % from your purchase. It's free for you to use a Realtor. FREE! When you hire a Liberty Realtor to represent you, you will be hiring a licensed agent who represents you, not the builder! Your Liberty Realtor looks out for YOUR best interests. The Builders agent or rep looks out for the BUILDERS best interests. Your Liberty Realtor understands the ins and outs of home purchasing and can work on your behalf to negotiate the best possible deal, free upgrades, or simply whatever is in your best interest. Why would you consider going through a stressful and complicated process of building a home without someone on your side? It can be very daunting to go through the process of building a new home, and dealing with the last minute changes and surprises. Buyers can avoid a lot of bad surprises with a good representation of their Realtor. Real Estate is a tremendous investment, so why not use one of our professional Realtors to help guide you on the path to success. It's time to take the plunge. Writing a contract on a home is a big step—and a legally binding one. Your offer will include the price you are comfortable offering, earnest money, and any addendums and contingencies you want to include. The tasks below will help safeguard your interests and keep you on track to get the best deals. We will help you determine what price to offer by researching recently sold homes in the area as well as other pertinent data. We will Negotiate with the Seller on your behalf. Typically, purchase offers are contingent on a home inspection of the property to check for signs of structural damage or things that may need fixing. Your Realtor usually will help you arrange to have this inspection conducted within a few days of your offer being accepted by the seller. This contingency protects you by giving you a chance to renegotiate your offer or withdraw it without penalty if the inspection reveals significant material damage. How do you ensure your home is worth buying? Are you on track in your transaction? We help you stay on track through the process of buying your home making sure you do not miss any critical dates that could cost you thousands of dollars. As you can imagine, there is a lot of work involved in buying a house. There will be specific dates you can not miss that is critical in real estate transactions such as option period, scheduling your home inspection, lender required repairs if applicable, loan processing . All of these involves time, effort coordination of paperwork handling, etc. requiring a knowledgeable and experienced Realtor. Are you ready to finalize everything? This is the most exciting time for buyers. Our Realtors will be there ensuring you have the support during the most important time of your life. Contact us for no obligation consultation with a Liberty Agent.